Double layer lipbalm for double protection to the delicate skin on your lips. 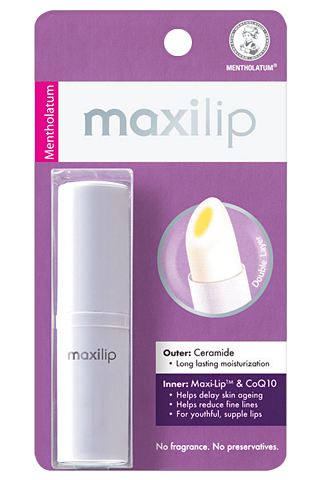 Contains Ceramide, which locks up moisture and provides long lasting (up to 8 hours) moisture for lips. 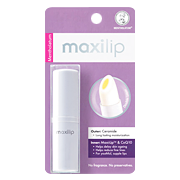 Enriched with Maxi-Lip™ to help reduce fine lines and keep lips supple and firm. Contains CoQ10 an anti-oxidant that helps delay skin aging and maintain healthy and youthful looking lips. Fragrance, preservative and colorant free. Double layer lipbalm that provides double protection to the delicate skin on your lips. 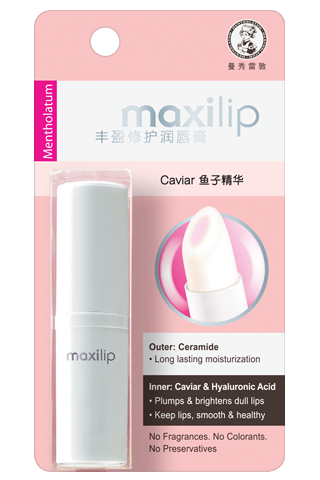 Enriched with precious caviar to improve skin elasticity and brightens dull lips. With Hyaluronic Acid to help refine fine lines and maintain smooth & supple lips.